Ambassador Philippe Lhuillier (center) presents books from NHCP to BNE Director Ana Santos. (L-R) First Secretary and Consul Mary Luck Hicarte, BNE´s Acquisitions Department Director Yolanda Ruiz Esteban, BNE´s Donation and Exchange Service Head Lourdes San Juan Núñez, Mr. Paolo Calamlam of NHCP, Mr. Francis Gealogo of Ateneo de Manila University, and Ms. Ros Costelo of the University of the Philippines. 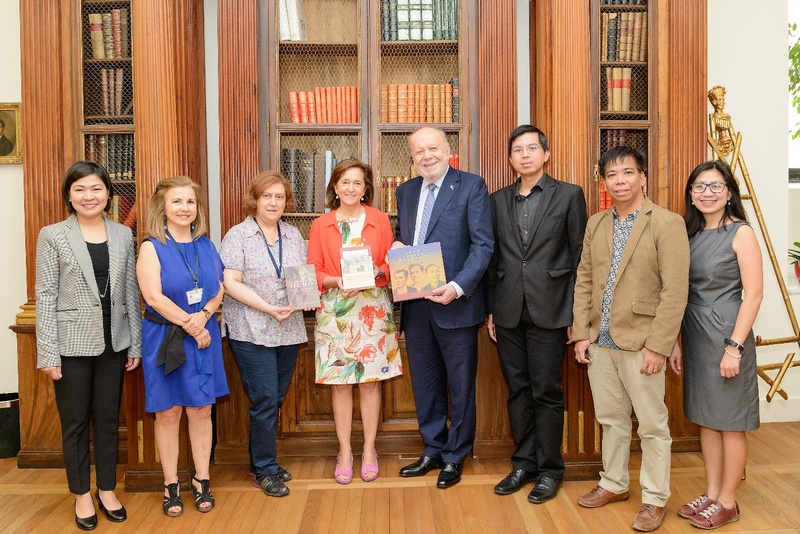 The National Historical Commission of the Philippines (NHCP) and Mama Sita Foundation, through the Philippine Embassy in Madrid, donated books to the National Library of Spain (BNE). Ambassador Philippe Lhuillier presented the donations to BNE Director Ana Santos Aramburo. In his remarks, Ambassador Lhuillier expressed hope that the books will complement BNE´s vast collection on the Philippines. The books from NHCP will add to the existing body of knowledge on the shared history between the Philippines and Spain. The cookbooks, on the other hand, will help promote Philippine cuisine all over the world, in keeping with the mission of Filipino culinary icon Teresita “Mama Sita” Reyes. Ambassador Lhuillier also expressed hope that through the donations, Spanish readers will further deepen their understanding of the Philippines and its people, especially in light of the two countries´ celebration this year of the 70th anniversary of the establishment of their diplomatic relations. In receiving the books, Director Santos expressed gratitude to NHCP, Mama Sita Foundation and for supporting the BNE. The National Library of Spain is one of the largest libraries in the world, and is said to be the main source of information on Spanish and Ibero-American written, graphic and audiovisual culture. The library’s collection consists of more than 26 million items. 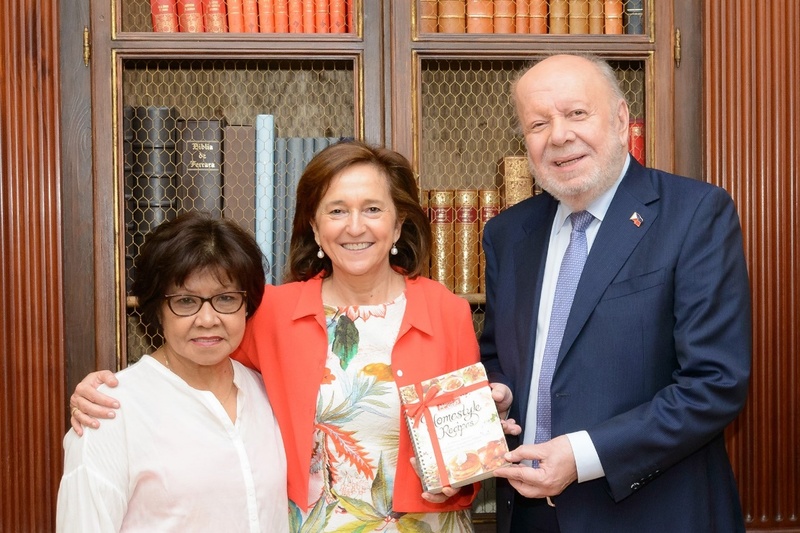 BNE Director Ana Santos receives Mama Sita cookbooks from Ambassador Philippe Lhuillier with FilCoop President Luz Roque in attendance.